We could not carry out our mission without our amazing and dedicated volunteers. These volunteers truly embody the spirit of Global Strategies as they work shoulder-shoulder with doctors, nurses and physical therapists in the field. With Mary, Carla and Deanna currently overseas, we wanted to share their incredible work. 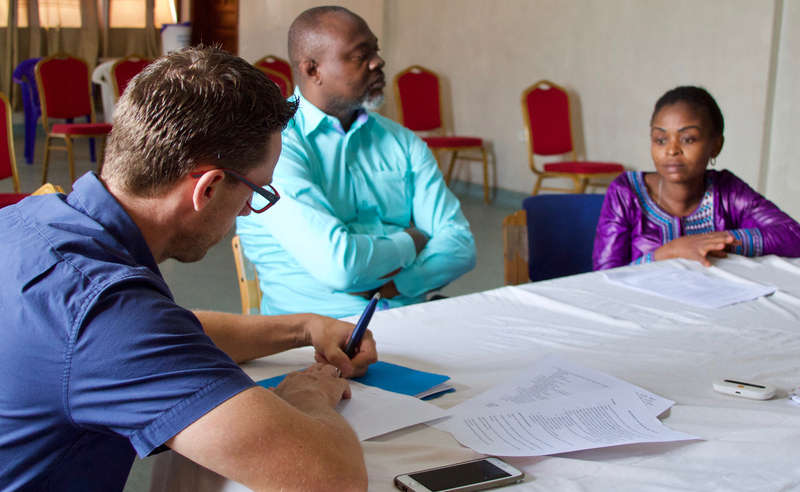 Current Volunteer Project: Mary is training nurses in the life-saving skills of neonatal resuscitation in the city of Goma. In addition, Mary isteaching HEAL Africa nurses to use GPS mapping to better understand neonatal referral patterns. Current Volunteer Project: Carla is working with the neonatal nurse instructor team at HEAL Africa and evaluating the quality of neonatal nursing school. She is also working with Nurse Élysée Samvura to validate the accuracy of the real-time data collection. Current Volunteer Project: Deanna is training staff at Swami Vivekanda Youth Movement (SVYM) program in India to provide rehabilitation care. SVYM was recently honored with a prestigious award recognizing the high quality of its programs.